Palimpsest—a manuscript or document where the original writing has been erased and written over but which still bears the traces of what was there before—is the title of the main show at Lismore Arts. 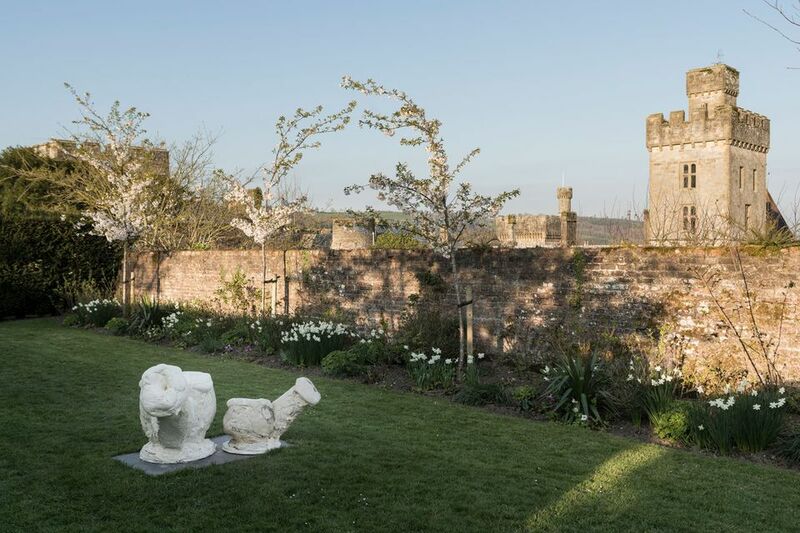 It is an appropriately multilayered theme for a show housed in Lismore castle, the Irish home of the Dukes of Devonshire, which dates back to the 12th century but whose appearance is dominated by extensive Victorian additions. Ideas around continuity and change play throughout, with the palimpsest becoming a wide-ranging metaphor for mixed messages and altered states, whether cultural or political, natural or physical. Martine Syms’s video Notes on a Gesture (2015) shakes up assumptions surrounding race and gender in meme-like repetitive gestures, which pertain to contemporary African-American women. They are also based on The Language of the Hand, a treatise written by a male British physician in the 17th century. 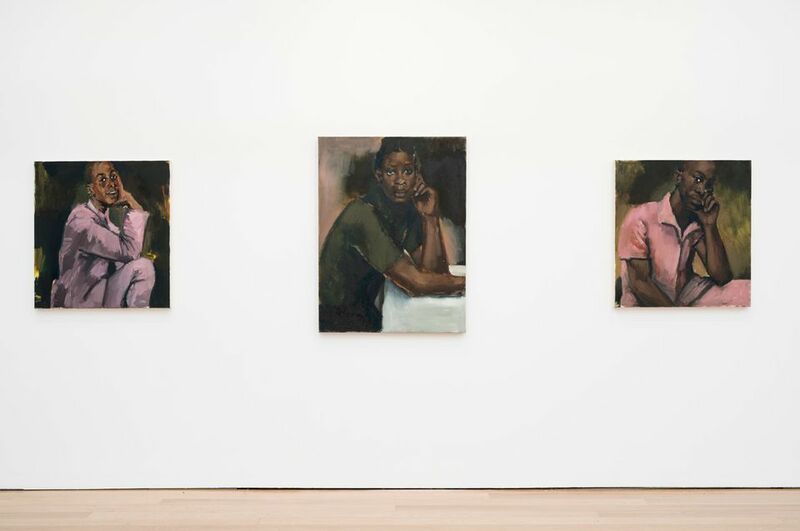 Hand gestures also feature prominently in three new paintings by Lynette Yiadom-Boakye whose protagonists occupy a parallel universe suspended between past and present, both complementing and challenging the ancestral portraits in Lismore. In Charlotte Prodger’s four works Sophie with Sheets 1-4 (2015) contact sheets documenting rows of clenched male fists and outstretched palms have their authority debunked by being re–photographed and being held by a female hand. Photographs of photographs—they form a visual palimpsest in their own right. Andrea Zittel offers an egalitarian opportunity to become a mobile human palimpsest by encouraging visitors to borrow her specially designed hand woven Personal Panels (2019) made from folded rectangles of Irish tweed, thus donning the memory of all their previous occupants. There’s also a specially commissioned takeaway text by the novelist Olivia Laing that filters the palimpsest through ideas of mortality and nature; while cigarette papers and rolling tobacco are given out in the bowls of Nicole Eisenman’s pair of giant flaccid phallic smoking pipes made from plaster and cement, which flop on a lawn in the formal gardens in a good- humoured deflation of the masculine and the monumental. There is no such thing as permanence or stability in a palimpsest as Zoe Leonard confirms in her photographic image of tree roots bulging out over a city pavement overlaying culture with nature in a reminder of nature’s ability to engulf the manmade, whether on the streets of New York or in the lush vegetation that could very quickly grow over Lismore. A sense of the precarious also plays out in Hilary Lloyd’s occupancy of Lismore’s 12th century tower with an irreverent and spatially complex installation of new paintings, sculptural objects—including a cat gym—and a projected found film clip of a cat repeatedly patting the face of a woman, all bathed in constantly-changing coloured light coming from a window covered in red, yellow and blue sheets of film. 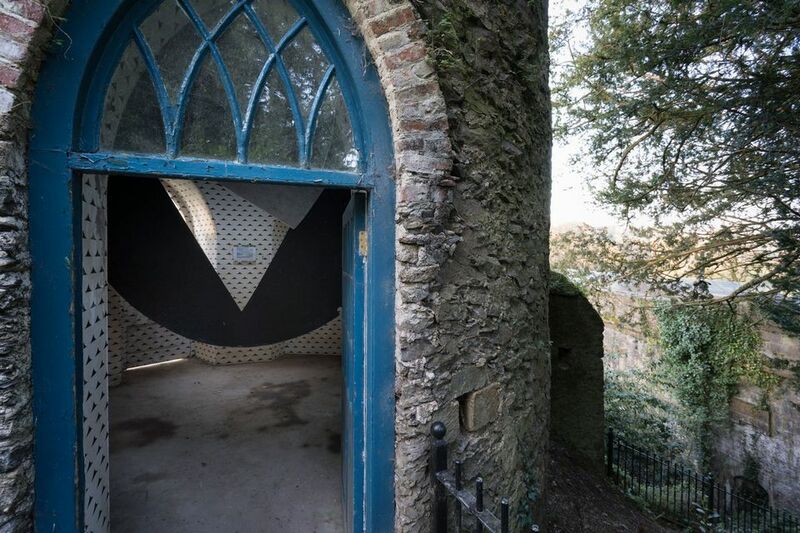 Lloyd has made a complementary work involving carpet and another cat image in The Monkey Tower, a folly in Lismore’s Lower Gardens that already contains a decaying wall painting by Richard Wright, which, in the true spirit of the palimpsest, simultaneously forms both a presence and an absence to remind us that nothing remains the same.